Alice Cooper Photo Archive Classic Rock photography by Chris Walter for Media use in publications, TV, Film, Album Design and online. 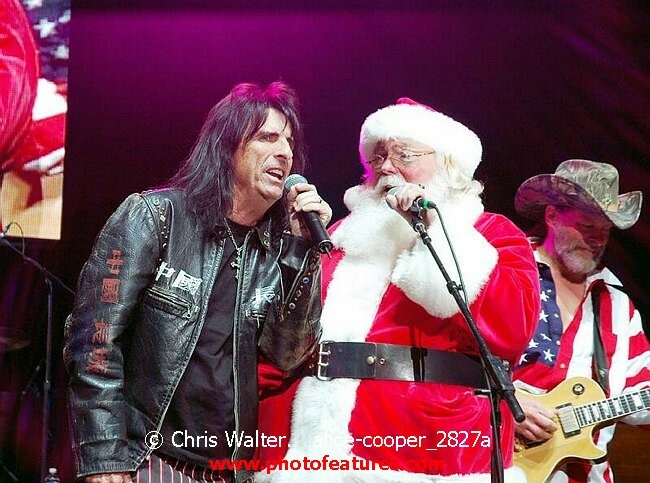 Photo Caption: Alice Cooper, Ted Nugent and Santa at Alice Cooper's Christmas Pudding show for his Solid Rock Foundation Charity at Dodge Theatre in Phoenix, Arizona, December 18th 2004. Photo by Chris Walter/Photofeatures.